500 soldiers from 36 countries around the world, and soldiers from the Druze and Christian communities completed training at the Alon outpost of the Education and Youth Corps. 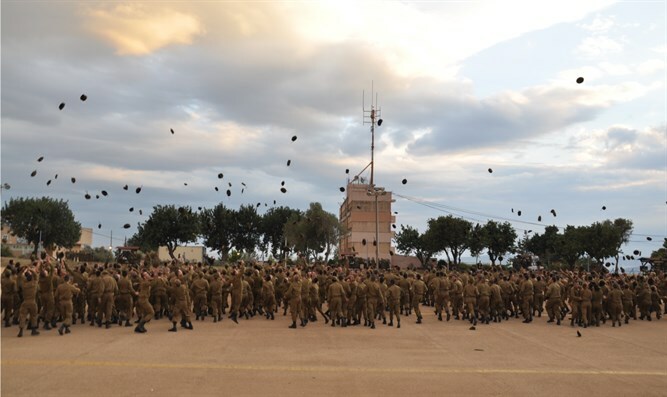 The soldiers completed a three-month basic training where they also underwent a Hebrew language course in preparation for their placement in a variety of positions. The soldiers learned about the State of Israel, the IDF, and battle history, and traveled around the country. "There are personal stories here, special stories of those who connected with life in the State of Israel - those born here, members of the Druze and Christian communities, and you new immigrants who made a brave decision to leave behind your families," said Lt. Col. Dorit Maoz. "This is the story of the Jewish People, Israeli society, this is your story here in this country. The IDF will continue to absorb new immigrants and minorities in the coming years to teach them Hebrew and prepare them for military service," she added.